Southlake offers almost 400 patient beds and accommodates more than 90,000 visits to the Emergency Department, 22,000 in-patient admissions, and 600,000 out-patient visits each year. As a regionally designated site, Southlake is responsible for developing and providing advanced levels of care to the more than 1 million people who reside in York Region, Simcoe County, and in some cases, as far north as Muskoka. 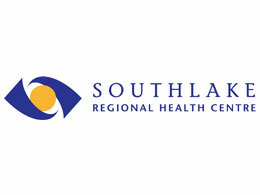 Southlake is proud to have a team of more than 3000 employees, 540 physicians, and 900 volunteers. Combined with our commitment to provide the best possible care to patients, our goal is to make Southlake synonymous with healthcare excellence.